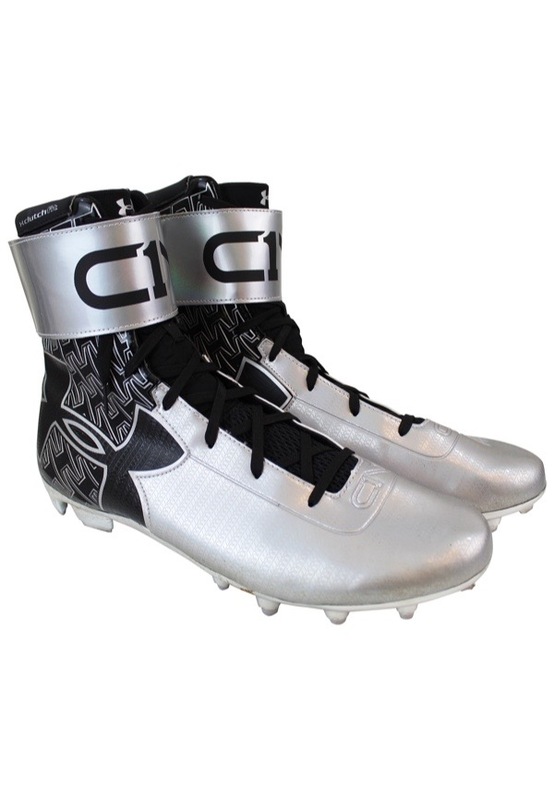 Cam Newton was the 2015 NFL MVP, is a three-time Pro Bowler and an All-Pro player. 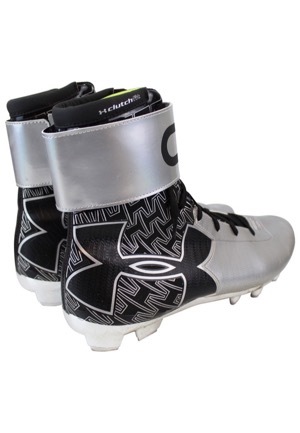 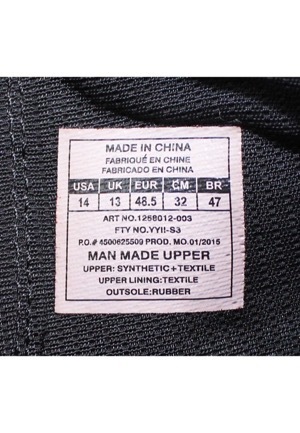 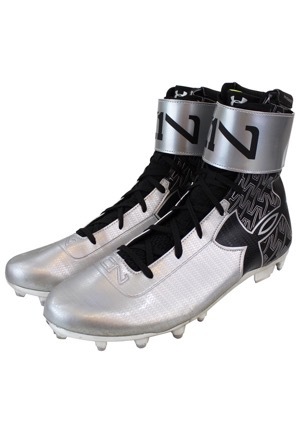 Under Armour manufactured size “14” silver and black high top cleats. 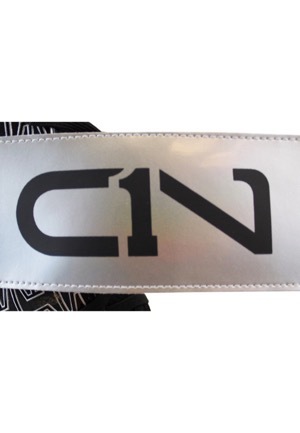 Newton’s personal “C1N” logo is on the top strap and on the top of the toes. 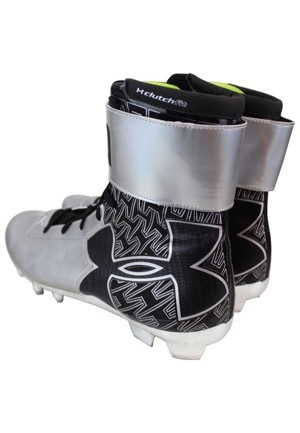 These cleats are properly tagged and were presented to us as player-worn.